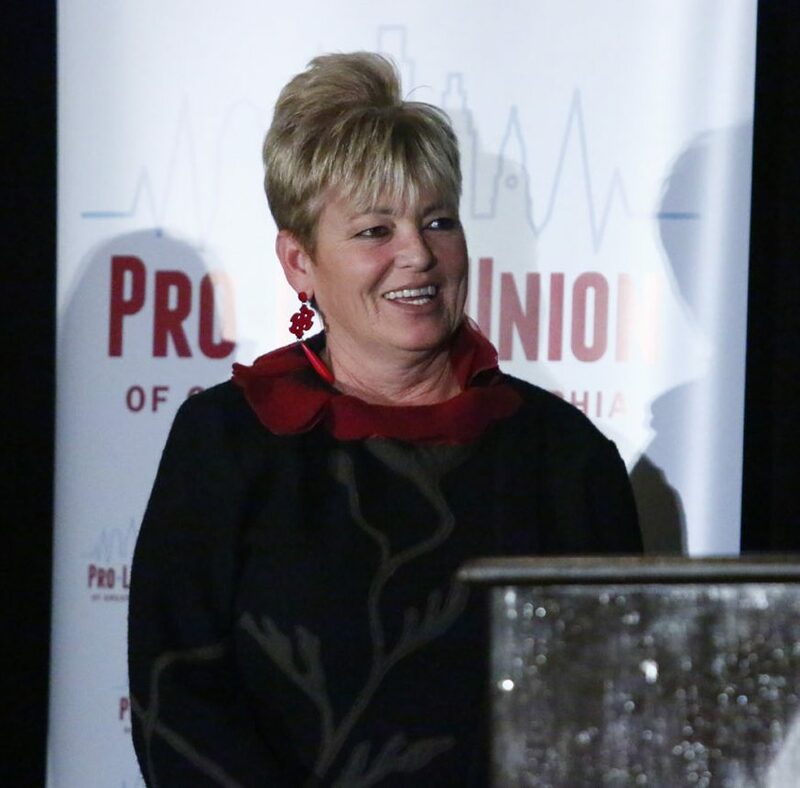 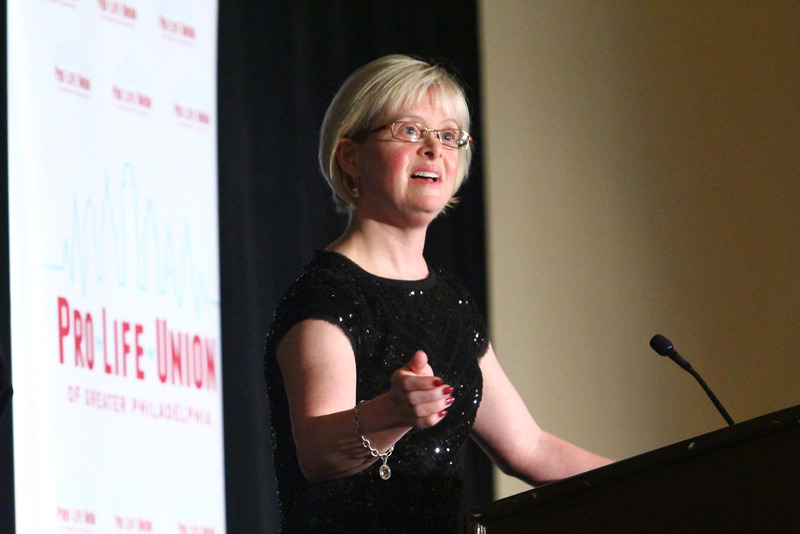 The dinner’s keynote speaker, Karen Gaffney, has Down syndrome, but that doesn’t keep her from speaking eloquently to audiences in support of people with the intellectual disability. 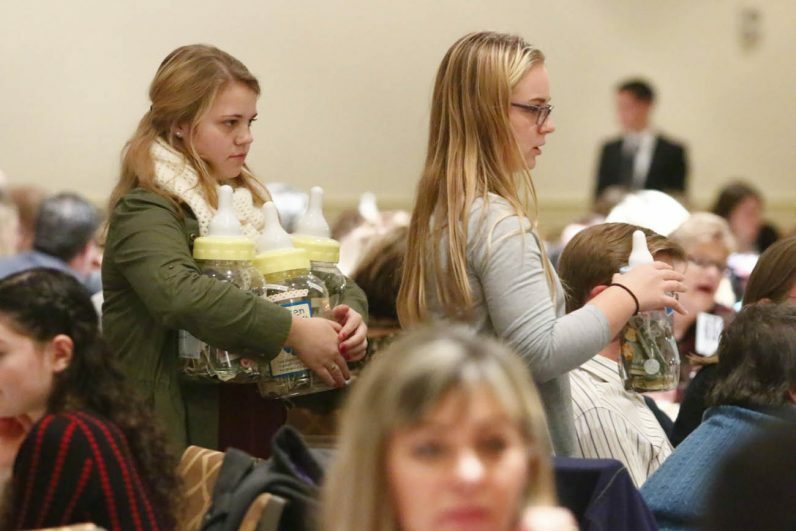 Volunteers take up a collection to fill over sized baby bottles with donations to help the work of the Pro-Life Union of Greater Philadelphia. 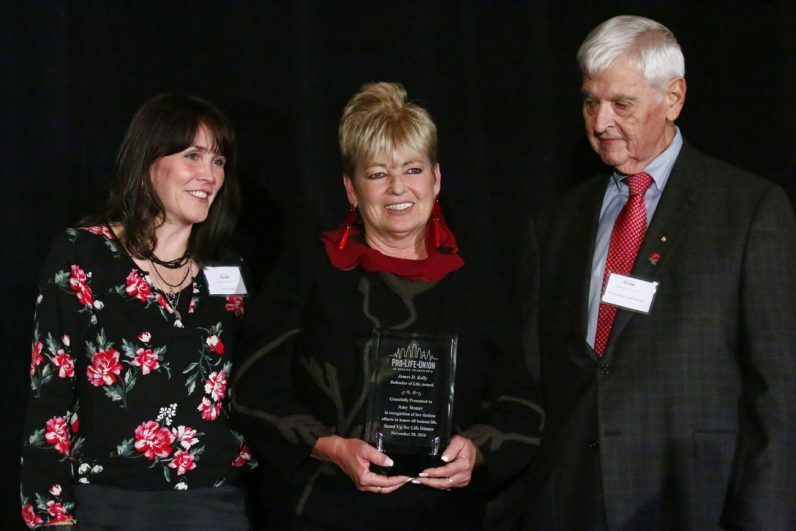 Amy Stoner, center, accepts the Pro-Life Union’s Defender of Life Award for her work serving homeless people through archdiocesan Catholic Social Services. Also pictured are Edel Finnegan and Bill Wohlgemuth, executive director and chair of the Pro-Life Union, respectively. 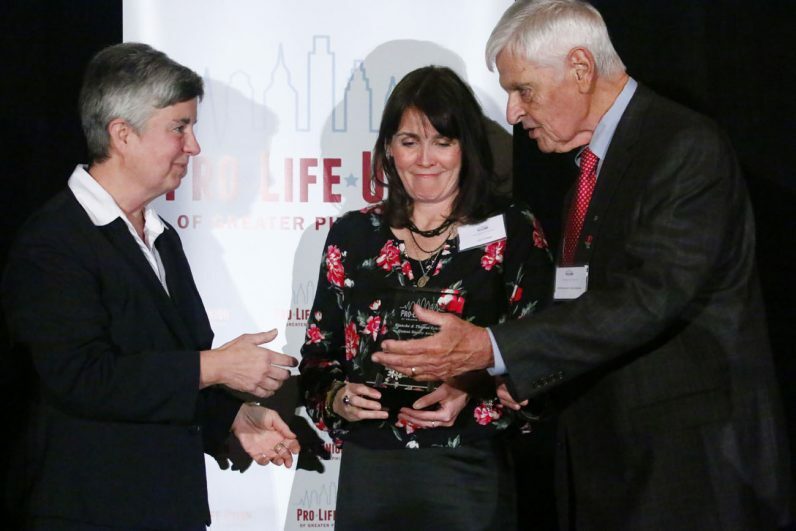 At left, Sister Kathleen Schipani, I.H.M., accepts an award from Edel Finnegan and Bill Wohlgemuth of the Pro-Life Union for her work with persons with disabilities. 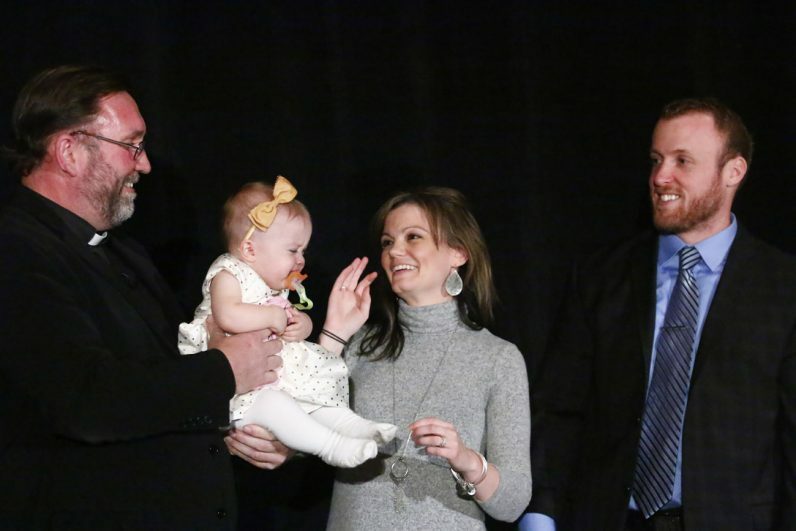 A young couple introduce their infant daughter to Father Chris Walsh, emcee for the Stand Up for Life Dinner.